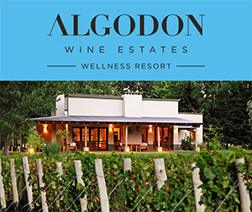 Nestled in the heart of Argentina’s gorgeous wine country, in San Rafael, Mendoza, Algodon Wine Estates is a unique opportunity to live the good life in one of the World's leading Wine Capitals! Did you know that a large number of US, Canadian and Europeans are acquiring their own vineyards in Mendoza at a record pace? Many residents are attracted by the opposite seasons, beautiful natural surroundings, and rich Argentine culture. 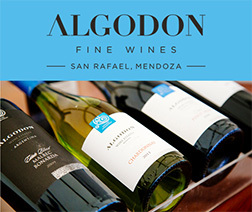 In fact, around 50% of Mendoza’s vineyard owners maintain primary residences outside of Argentina. Whether you are thinking about building your home on a vineyard, or investing in land growth potential, now is the time to act! Land assets in Argentina are currently undervalued in the comparative world market, and may see dramatic appreciation in the coming years. 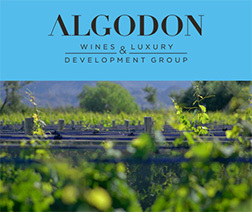 According to Knight Frank’s 2013 Global Vineyard Index, the price of some vineyard estates in Mendoza have recorded growth of up to 25% annually. 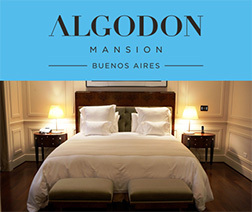 Our development firm, Algodon Group, is headquartered in New York City and has created luxury properties in Argentina since 2006. As a developer navigating the economic growth and emerging market potential of Argentina asset investment, we strive to deliver the same confidence, efficiency and transparency of investing in the United States.